Ryann Reed is happy to provide a wide array of home remodeling services in Yardley, PA. A small town of about 2,600 residents, Yardley was founded in 1682 when William Yardley bought 500 acres of land for 10 pounds before coming to America! 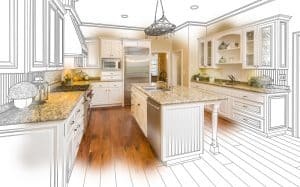 Over 335 years later, Ryann Reed is proud to be serving the Yardley community with their excellent home remodeling services! Ryann Reed offers their home construction services to the Yardley, PA community. Whether you need to build an entirely new house, have masonry, metal, or concrete work done, or just a need to remodel a room or two, Ryann Reed is here for any of your home construction needs! Does your bathroom need an overhaul? Ryann Reed is happy to assist! A beautiful bathroom can help start the day off on the right foot! Whether you’re looking for a new tub, shower, tiles, or want to remodel the entire bathroom, Ryann Reed is here to help you with all of your remodeling needs! We’ll help you create a bathroom you’ll love!